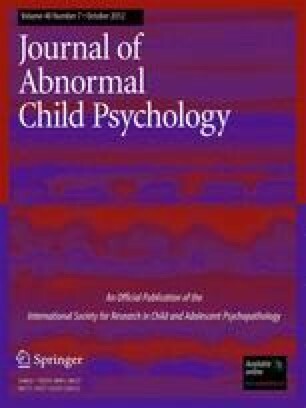 Youth with elevated conduct disorder (CD) symptoms who also have callous-unemotional (CU) traits exhibit more antisocial behavior than youth without CU traits. However, evidence regarding whether CU traits increase risk of substance use over and above CD symptoms, and whether these associations differ for boys and girls, is scarce. Using the Developmental Pathways Project sample of 521 middle school students, we examined whether adolescent- and parent-reported CU traits measured in 6th grade prospectively predicted the onset and recurrence of substance use and use-related impairment by 9th grade. We also examined the degree to which CU traits uniquely predicted substance use and impairment over and above CD symptoms, as well as whether gender moderated these associations. Results indicated that adolescent-reported CU traits increased the likelihood of substance use and impairment onset and recurrence by 9th grade. Analyses revealed that CD symptoms accounted for prospective associations between adolescent-reported CU and substance use, but gender moderated these associations. Boys with elevated CU traits and CD symptoms were not more likely to report alcohol use onset or recurrence, but they were at highest risk of recurrent marijuana use, use of both alcohol and marijuana, and use-related impairment by 9th grade. Girls with low CU traits and high CD symptoms were most likely to report onset and recurrent use of alcohol, as well as recurrent marijuana use, use of both substances and impairment. Study findings highlight the importance of accounting for CD symptoms and gender when examining links between CU traits and substance use in early adolescence. This work was supported by grants from the National Institutes of Health, including R01 AA018701 (awarded to Dr. McCarty) and R01 MH/DA63711 (awarded to Drs. Vander Stoep and McCauley), Seattle Children’s Hospital Steering Committee Grant and American Foundation for Suicide Prevention Grant (awarded to Dr. Vander Stoep), and UW Provost Bridge Funding (awarded to Drs. Vander Stoep and McCauley). Portions of the analyses were presented at the biennial meeting of the International Society for Research on Child and Adolescent Psychopathology (June, 2011). Frick, P. J., & Moffitt, T. E. (2010). A proposal to the DSM-V childhood disorders and the ADHD and disruptive behavior disorders work groups to include a specifier to the diagnosis of conduct disorder based on the presence of callous-unemotional traits. http://www.dsm5.org/Proposed%20Revision%20Attachments/Proposal%20for%20Callous%20and%20Unemotional%20Specifier%20of%20Conduct%20Disorder.pdf.